If you are visiting with us we have set aside several parking spaces just for you located next to the (royal blue arrow) above. All other spaces are also available. 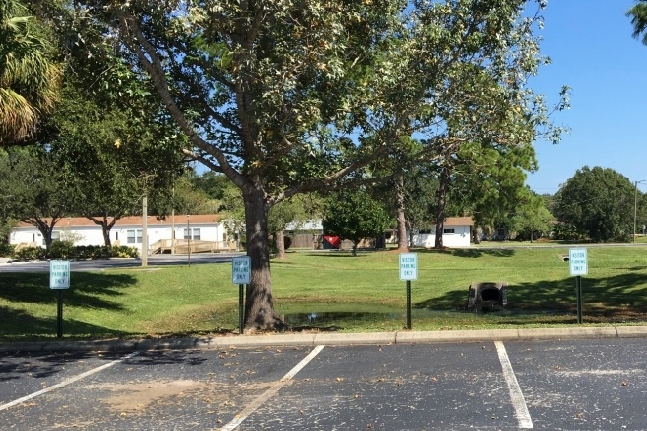 We also have plenty of parking available in the CanCare Office parking lot to the west of our Fellowship Hall and grass parking behind our education building. If you are coming for Sunday class at 9:15am, or Wednesday Class at 7:00pm then you will probably want to park close to our Education Building that houses our Faith City, Teen Center and Adult Classes pictured below. Here is the layout of our campus. Hope this helps you find your way.